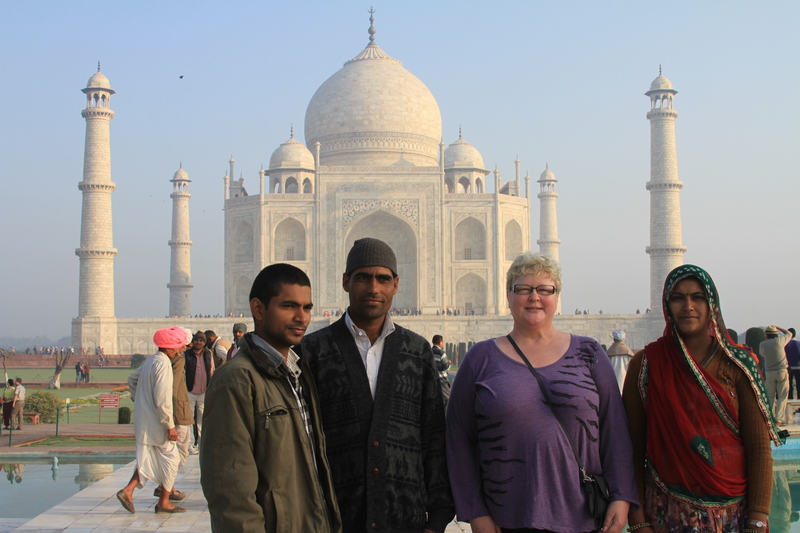 In late February 2013, I traveled in India for two weeks. India is truly incredible. India wasn’t on my bucket list, but when my friend Marta started a tour company, Ponte Travels, I decided to join the company’s first tour. And it turned out to be a very personal tour. I was the inaugural and only customer, and I traveled with Ponte Travels’ two owners, Marta and Heather. We visited Delhi, the Taj Mahal, and toured cities throughout the state of Rajasthan. Oh, I forgot. I did have a traveling companion. Flat Stanley traveled from North Pole, Alaska, to go to India with me. If you aren’t familiar with the Flat Stanley program, young students cut out and color a Flat Stanley paper doll and send him to other places. His host (me) returns him to the student with information about the place Flat Stanley visited. Incredible India2. I wasn’t initially sold on a long, organized tour. I didn’t want to give up setting my own pace and itinerary. But I knew I wouldn’t travel to India alone, and Ponte Travels’ tour turned out an excellent option. I liked the itinerary, the costs were reasonable, and I was able to support a friend’s small business. In addition, Ponte Travels donates a portion of its proceeds to non-profit organizations (NGOs) in the country in which they travel. Perfect all around. I would do it again. And as I age, I think small tours will be an excellent way to travel to special locations I might not consider traveling to independently. I was astounded by the use of cell phones and the coverage, even in the middle of the desert. Everyone had a cell phone. Not a fancy smart phone, just a basic phone. The owner of the camel I road on our sunset ride into the desert lounged in the sand talking on his cell phone. I can’t even get consistent coverage in upstate New York when I visit one of my sisters. India is an example of a “phone first” culture. The average Indian’s first introduction to technology and communications isn’t through the computer but through the cell phone. Phones and cell service are inexpensive and sold everywhere. I can’t say enough about the warmth and hospitality of the Indian people. Everyone we met was welcoming and friendly. And they love to have their pictures taken with tourists. We were often asked to pose in group photos. One young man told me his mother, who was visiting Delhi, wanted her picture taken with me for her memories.